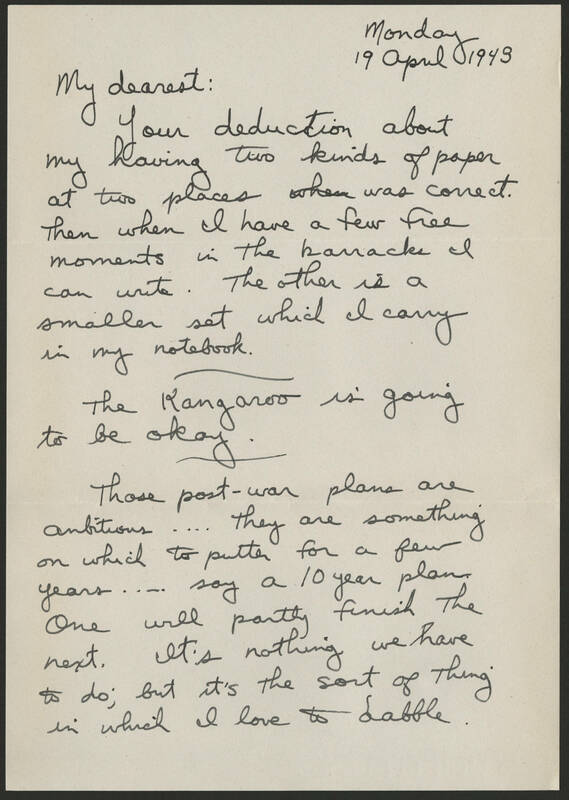 Monday 19 April 1943 My dearest: Your deduction about my having two kinds of paper at two places was correct. Then when I have a few free moments in the barracks I can write. The other is a smaller set which I carry in my notebook. The Kangaroo is going to be okay. Those post-war plans are ambitious . . . . they are something on which to putter for a few years . . . say a 10 year plan. One will partly finish the next. It's nothing we have to do; but it's the sort of thing in which I love to dabble.